Well, this episode has received a mixed bag of reviews from fans, so I think it's time to add one more to it. My final review of 2014: The Perfect Gift! I'm going to say this now: just because an episode copies elements from a previous one, it doesn't mean I'll dislike it straight away. It needs to do more than that. I say that because, while I think this is a rehash of Salty's Surprise, I really like this episode. Granted, this isn't as good as the previous two episodes this week, but it's still pretty admirable in its aim. For me, what makes this better than Salty's Surprise is the choice of characters. 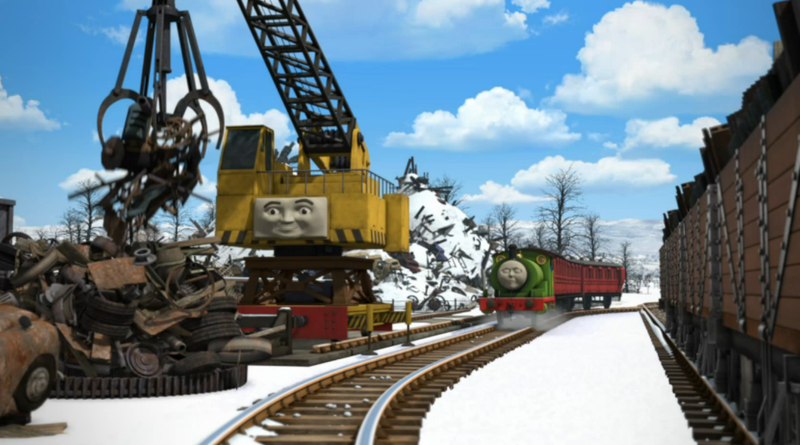 In the former, the moral didn't really make much sense for Edward as he's old and wise, so he should know what Salty's ideal present should be. 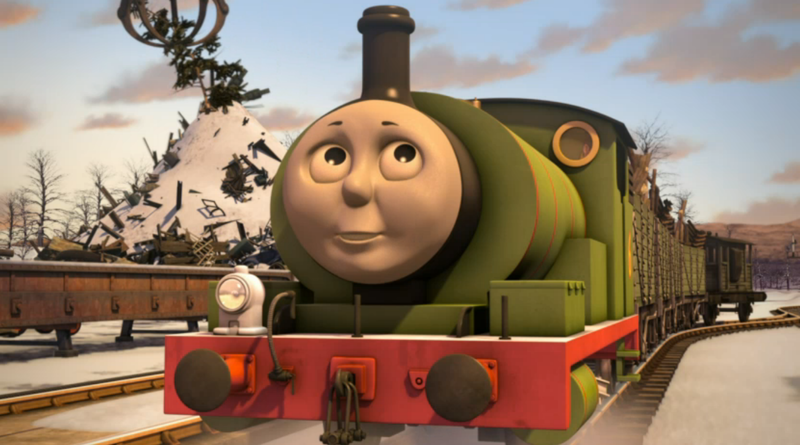 Here, it's Percy who's in the spotlight, so the moral is much stronger and it makes more sense for him to learn it. I loved the character interactions here. They felt a lot more natural here than they did in Salty's Surprise as well, where they felt a bit too... happy. Here, we know that Reg isn't too keen on Percy's gestures, but we also know he doesn't want to upset the saddle tank engine. It's a fantastic case of "show, don't tell", which I'm pleased the new team are allowing these days. It's a prime example of teaching the target audience with respect. 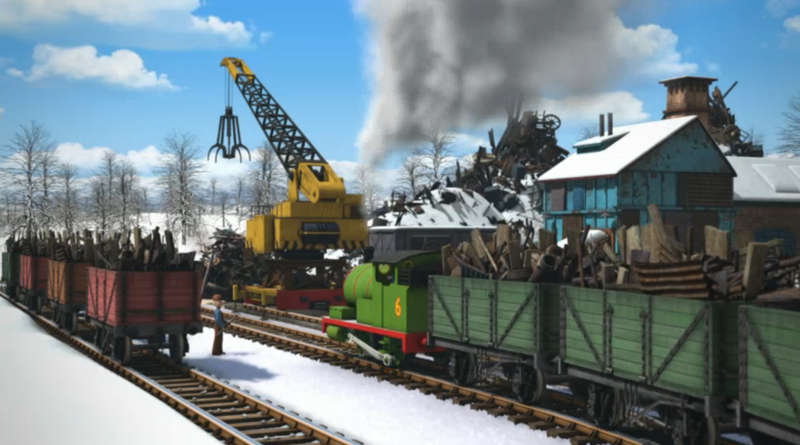 And yes, this episode was also pretty repetitive, but the "Percy wasn't a 'giving up' sort of engine" justified its use really well, and it is really believable, especially when you consider Percy's Promise. The episode is also pretty funny; some line deliveries were spot on. 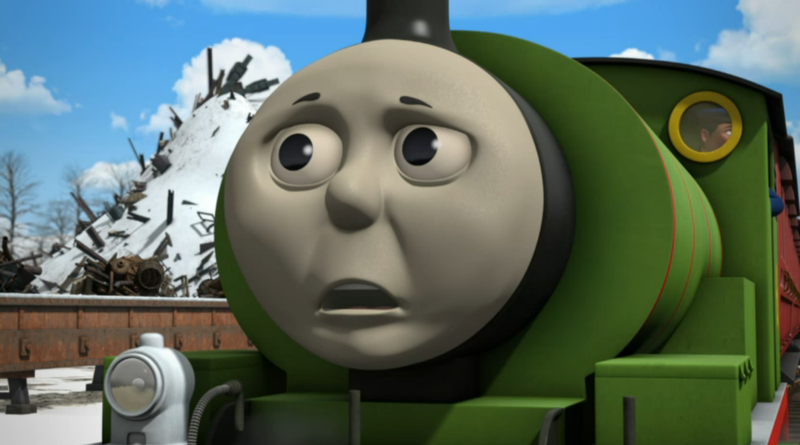 That said, Percy's singing, at least in the UK version, was a little bit... cringeworthy. But the rest of the voice acting was pretty spot on, especially Reg. It's really nice that he got such a large role. I think my favourite part was the ending, which showed that some celebrate Christmas in different ways, which I love. There's far too much uniformity in society these days, and it's high time that stopped. I'm glad that the team are producing unique and interesting characters that don't do things "by the book". 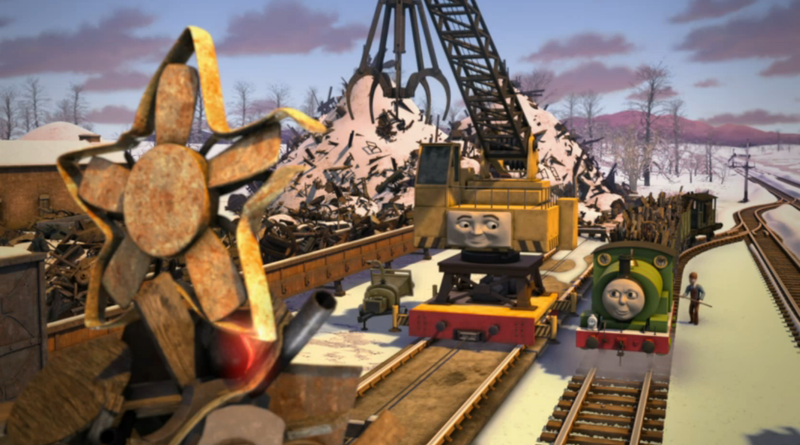 That said, there was one thing I found pretty odd: Percy has never usually taken scrap to Crock's scrap yard before - on screen, at least. 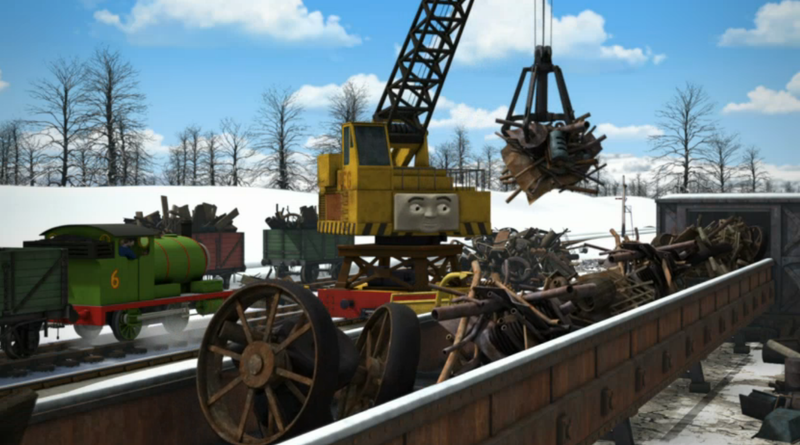 It's on Edward's branch and Percy works on Thomas'. Although, I don't really mind the contrivance too much since, again, the story hides it really well. The animation, once again, is top quality. They really get these festive episodes right (bar a few niggly bits), and I'm already looking forward to next year's foursome. The music was great as well. 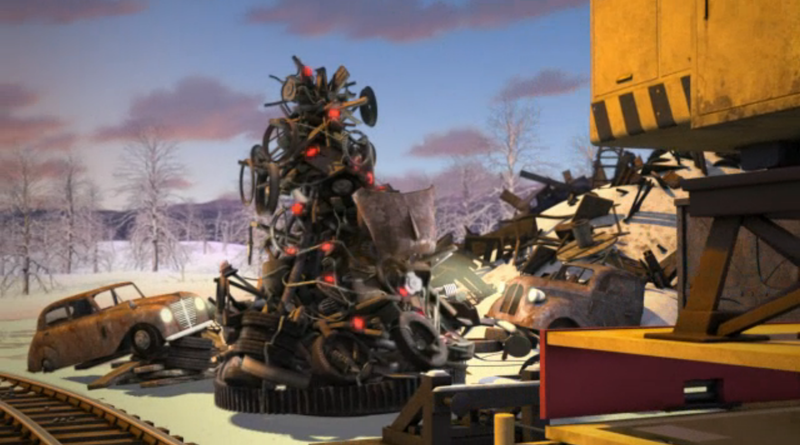 Like the previous episode, the soundtrack here felt really festive, and captured the mood of the episode brilliantly. I can see this episode from both sides, but I personally really enjoyed it. The conflict, while rehashed, was better handled, the character interactions were brilliant and Percy was portrayed really well. 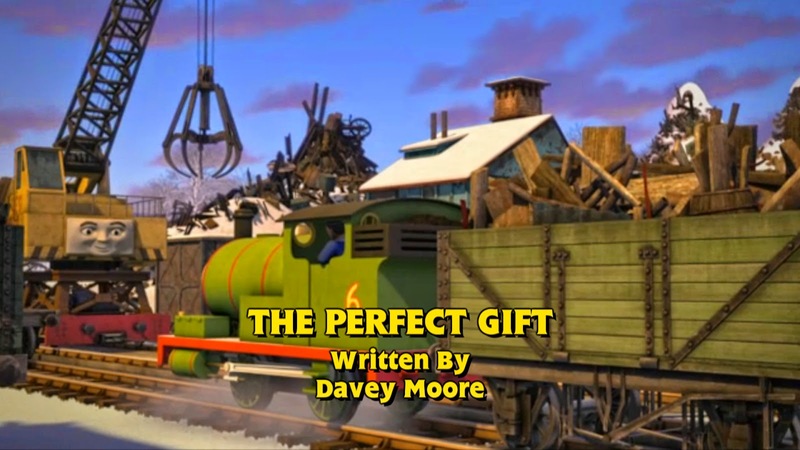 It feels like Davey Moore really gets him, and the more each writer "gets" each character (and each role they play on Sodor), the series can only get better, can't it?